The second largest of the seven Emirates that make up the UAE, Dubai has an amazing amount to offer. It started life as a settlement on an ancient nomadic trading route and, by the 19th century, had evolved into a fishing village, making full use of the fertile Arabian Gulf. Until the 1960s, its interest to foreigners was limited. All this changed during the last few decades. A lavish playground for those who seek out the finer things in life, Dubai is a cacophony of exquisite bars, world-class nightclubs and super cool beachside hangouts. Despite the strict liquor laws that restrict the sale of alcohol, the city’s finest mixologists have prevailed in ensuring that there’s certainly no shortage of top notch tipples to indulge oneself in. In a city known for its utter extravagance, it can be tricky to know which of Dubai’s hot haunts to hit up first. As an idyllic locale which features some of UAE’s most prestigious spots, the Dubai Marina is a great place to start. Here you’ll find Bar 44, a chilled hangout that boasts a menu of 44 different champagnes and stunning views of the marina in all of its glory. 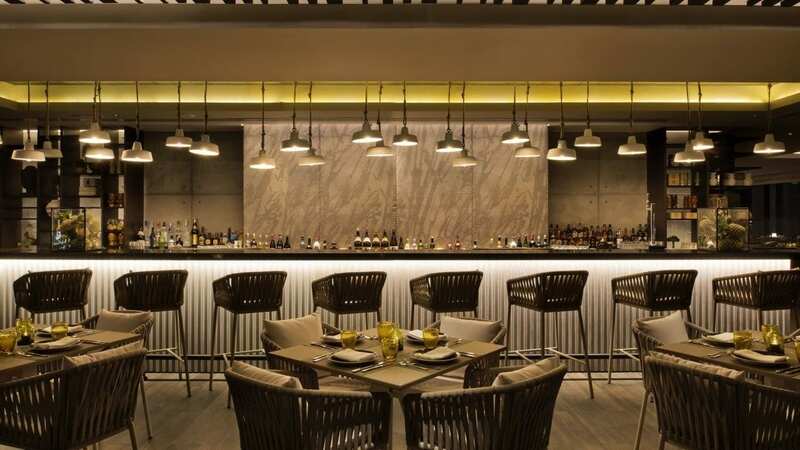 Taking things to the next level, cruise on over to COYA on nearby Jumeirah Beach, a Peruvian-inspired watering hole that is known for its perfectly curated cocktails and divine seafood dishes. To top off the perfect night, mosey on over to 40 Kong, a glamorous sky-high terrace perched on top of the H Hotel which is famous for serving up a sophisticated vibe as well as a killer concoction.